The presentation of ‘Armenophobia in Azerbaijan’ book took place today. The book is based on studies of Azerbaijan’s press and official statements. The authors collected materials for five years, using Azerbaijani-, Russian-, and English-language sources. According to the co-author Armine Adibekian, information has been collected as an archive since Azerbaijan very often obliterates all traces. “The book is intended first of all for the third reader – the Minsk Group so that an attempt could be made at the public level to find a solution and with this aim it is necessary to understand what is going on in Azerbaijani society. Children in Azerbaijan today are brought up in an atmosphere of Armenophobia, which is perceived everywhere – in textbooks and fairy tales, on television, while children have no opportunity to defend themselves. Representatives of this generation will live close to our children, which creates a dangerous situation for us,” she noted. 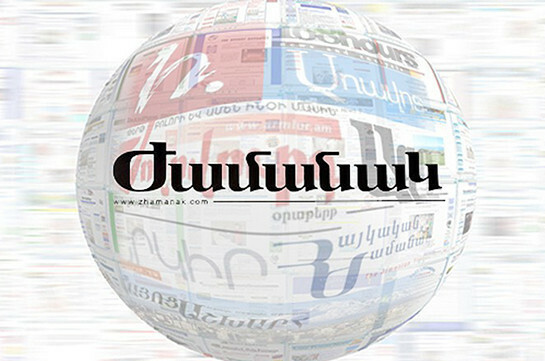 The book was published with the assistance of the Center of Information and Public Relations of the Armenian President’s Office. The book will be translated into English.